The British Airways sale has been running since just before Christmas but if you still haven’t booked one of the deals on offer you only have until 23:59 GMT tomorrow (31 January 2019) to lock in the better deals….and there are some fantastic deals still on offer. I’m not going to go through all the deals that BA has going right now (you can find them in my original post) but I will quickly recap the main things you need to know and highlight a few of the better deals that are still around. The travel date on sale will vary depending on your destination (most include travel for most of 2019) – check the terms and conditions on the sale page for precise details. Needless to say there are a lot more deals available in the sale than I’m going to mention here (especially in Premium Economy and on short-haul) but these are the deals I suspect most will find attractive. The interesting thing here is that although a few of the very best fares (sub £2,000) are no longer available, there are a number of destinations on which the First Class fares have become considerably better. San Francisco for £2,009 roundtrip in First Class is a fantastic deal…as are the deals to Chicago, Seattle, D.C, Cape Town and Johannesburg. I’m very tempted with the SFO fare as I could easily use one of these in place of one of my many London – Los Angeles trips and then use a cheap domestic fare to get me home to LA. The first thing I need to point out is that, while there are some very good deals here for non-stop service out of the UK, better deals can often be found by flying out of various European cities….especially for destinations to Asia. 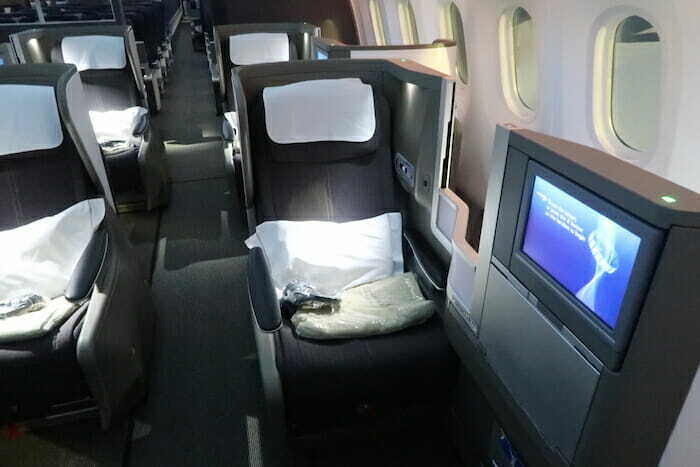 Having said that, Business Class to Lima for under £1,700 is an excellent deal as are the deals to Nashville (£1,380), Chicago (£1,455) and Boston (£1,375). In some instances it’s worth considering if paying a little extra for First Class may be the better way to go (San Francisco, Seattle and Chicago in First Class all cost around £500 more than Business Class) but that may be a better consideration for solo travelers and couples rather than families (where the additional cost quickly adds up). There really are some incredible deals still available in the British Airways Winter Sale and the jewels in the crown are to be found in First Class. I haven’t mentioned short-haul fares or Premium Economy fares in this roundup but there are some great deals on those too (LA in Premium Economy for £758 and Hong Kong in Premium Economy for £888 both stand out) so make sure you have a proper look around at what the sale offers before you jump on a fare.